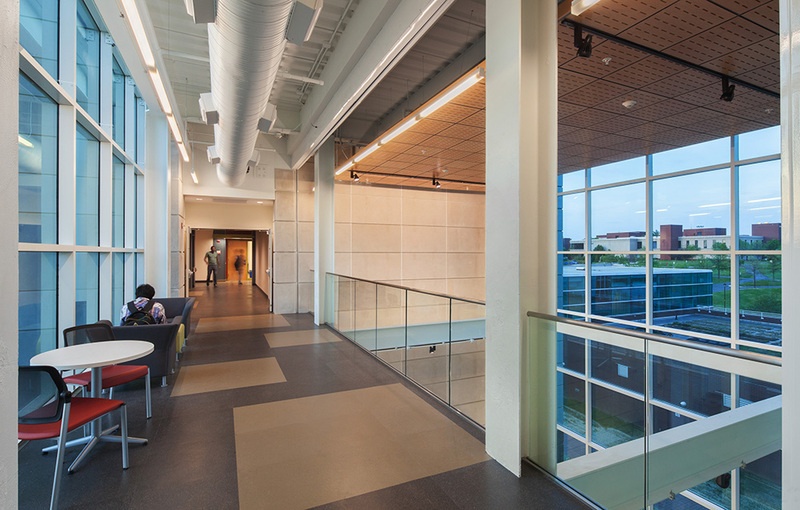 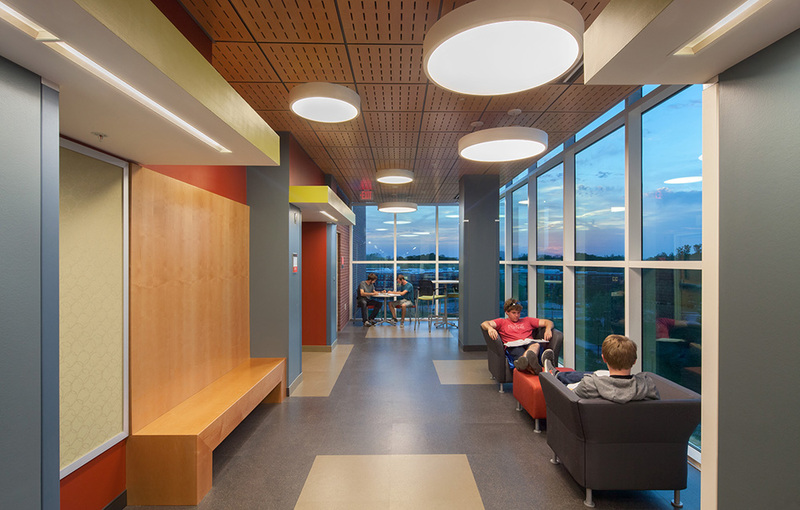 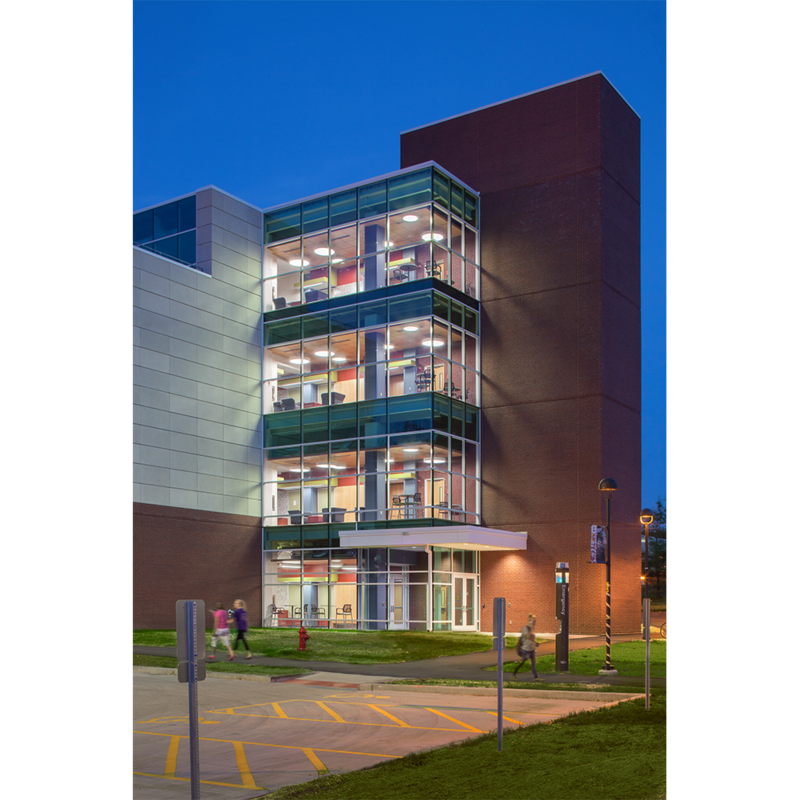 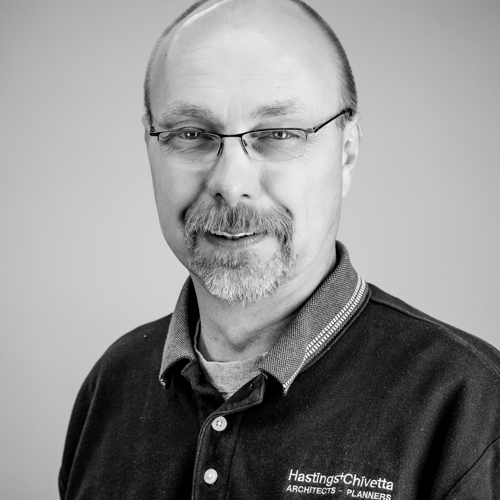 After completing several projects on SIUE’s campus, including the new Science Building, Hastings+Chivetta was again chosen by the university to design a 43,290 sf addition to the existing Engineering Building. 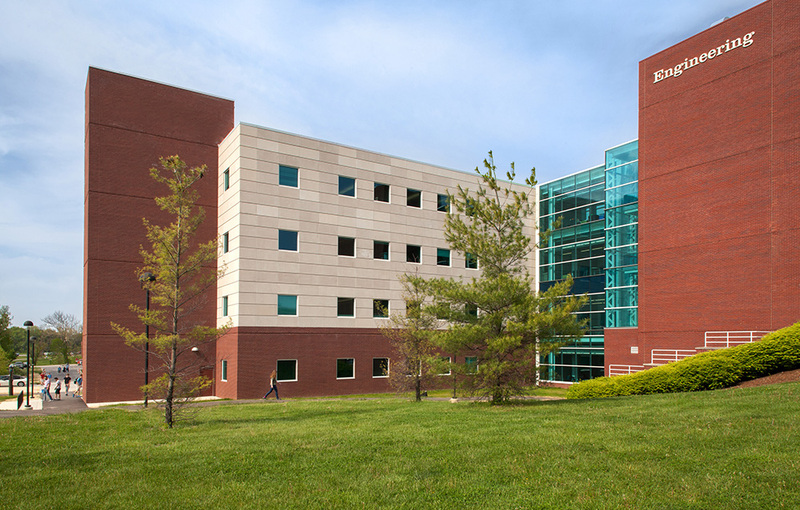 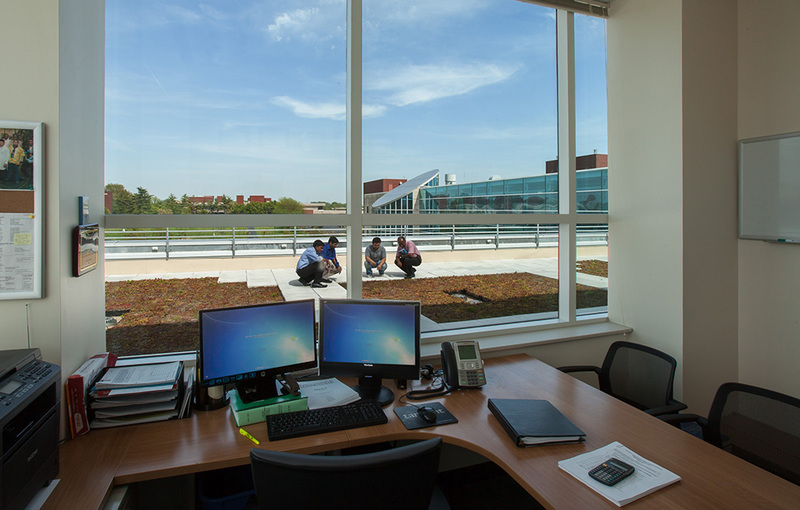 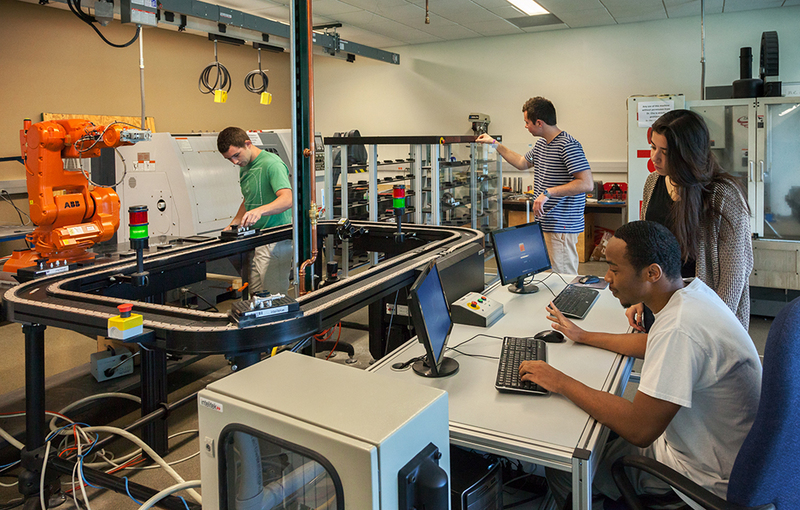 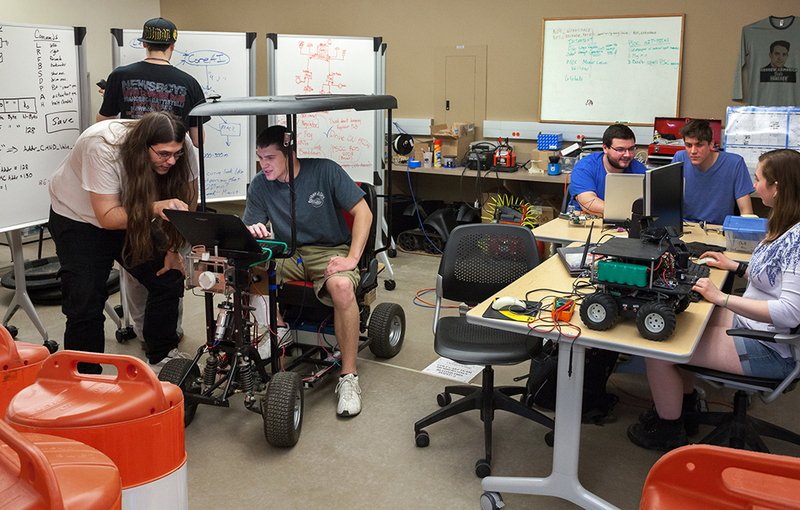 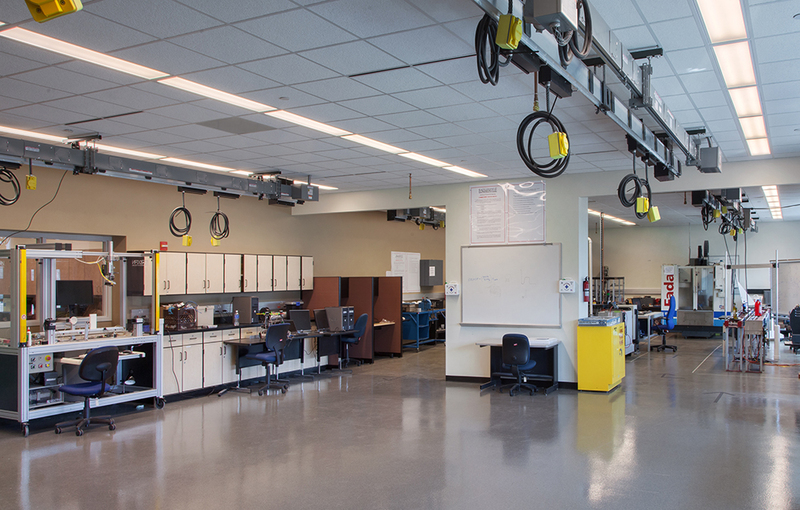 As part of SIUE’s Master Plan implementation, the Engineering Building expansion provides much-needed additional office and classroom space, as well as several interactive student makerspaces. 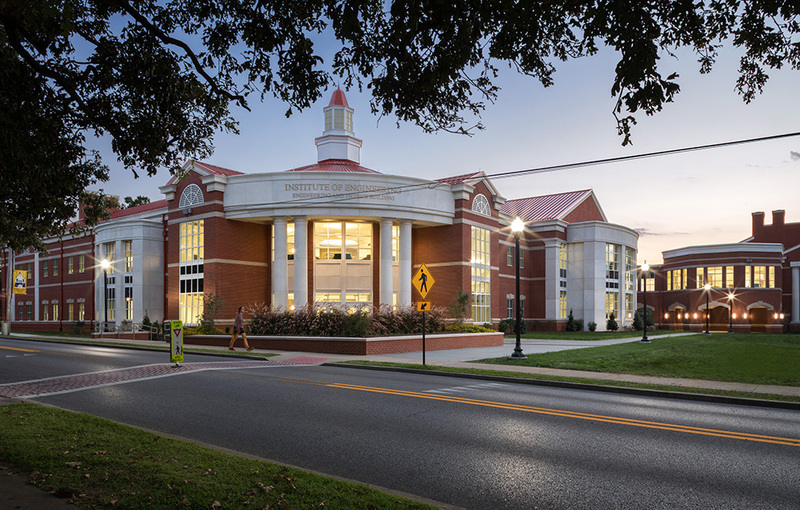 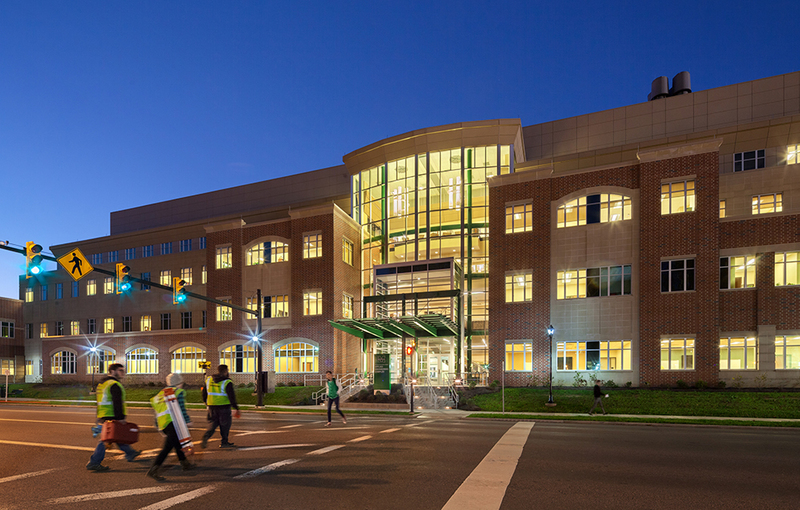 The new building complements the existing facility and extends over the one-story existing structure. 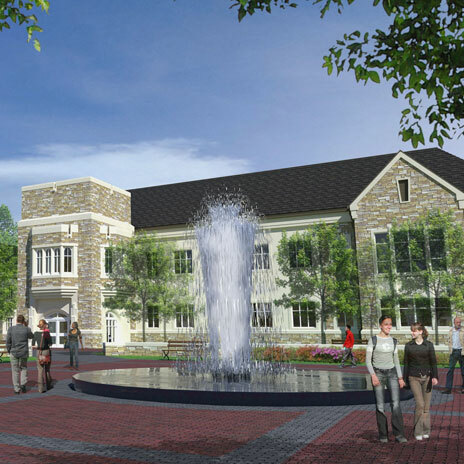 The expansion includes labs, classrooms and offices for the following departments: civil engineering, computer engineering, computer science, construction engineering, electrical engineering, industrial engineering, manufacturing engineering, and mechanical engineering. 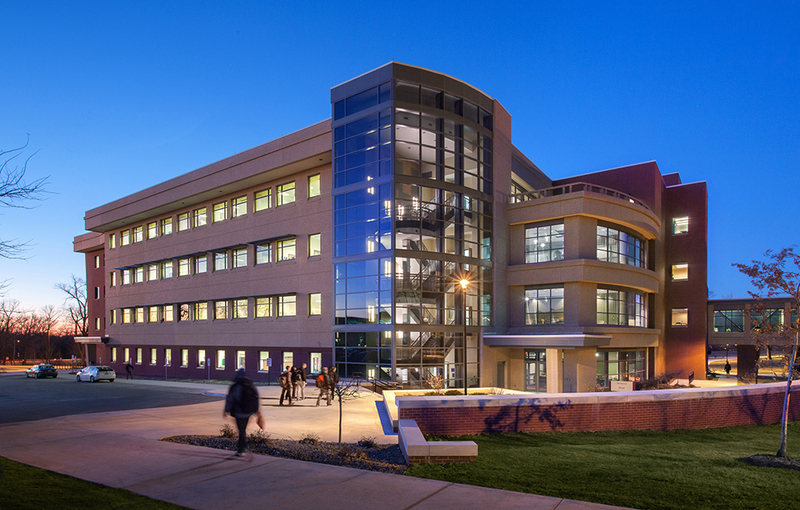 The existing building also houses a wind tunnel, a cement mixing room, a robotics lab, computer integrated manufacturing equipment, other specialized labs, and a 100-seat auditorium.